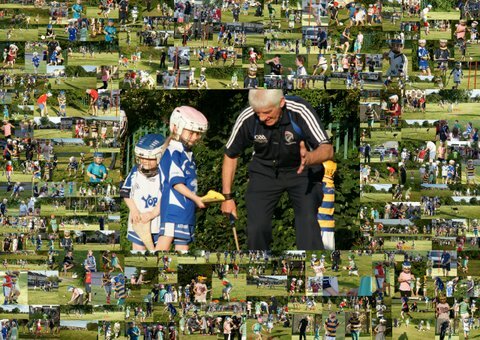 Night 3 of 'Hurling on the Green' took place in An Grianán, Ballinroad on Wednesday evening last, 12th August. Over 50 young boys and girls from the estate and surrounding areas enjoyed a fantastic evening of fun and games. Many thanks to all who helped in any way to make the evening so successful and to the residents of An Grianán for their support and co-operartion. Thanks also to Waterford GAA Coaching and Development for their assistance and to Nugent's Centra, Abbeyside for the refreshments. Below is a selection of photographs of the action. Many thanks to Audrey Hallahan for this comprehensive record of the night.